New-typed snakelike spring coupling that our company develop combines the advantages of gear-type coupling and flexible coupling.So it will be the best choices for middle and heavy equipment. 1.Our coupling has the characteristic of anti-impact,shock-absorbing and mostly it also adapt to large variety of Loading capacity,which can protect equipment better. 2.Quick dismounting and installation are the advantages for our coupling and the experimental data show that the product can save 70% time than The traditional coupling. 3.The long-life coupling made of high strength alloy steel get to the requirement of High toughness after heat treatment. 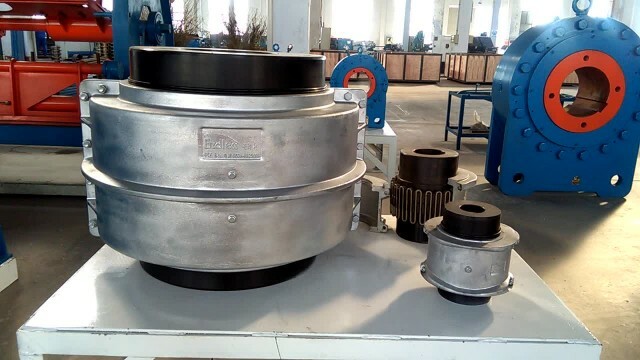 4.The coupling also possesses features of reasonable structure, less parts, light weight and small size that ensure simple installation and easy maintenance for you. 5.The installation precision of snakelike spring coupling is lower than the average,which can reduce installation requirements so as to conveniently install the coupling.